Your standing goals are easier to attain with the UPLIFT Desk Connect dongle and app. Control your desk with the simple swipe of a finger and enjoy seamless one-touch adjusting like you've never experienced before. Set your sitting and standing heights and access them right from your phone. Keep track of the time you spend on your feet and create a custom health plan to encourage yourself to stand more throughout the day. The dongle plugs directly into your control box and lets you sync your desk with your smartphone or tablet. Get ready for a whole host of health-boosting features when you plug the UPLIFT Desk Connect Dongle into your height adjustable desk. To get started, download the free app for Android at the Google Play Store or the App Store for iOS, and then head on over to our UPLIFT Desk Connect page to learn how to sync the app and dongle and how get started in just a few easy steps. How do I find my desk in the app? Launch the UPLIFT Desk Connect app, then select Search for Desk; a list will show up with all of the desks with dongles in your area. The preset name should start with "BLE...", which can be changed to one of your choosing. I can select my desk but it will not connect, what should I do? If you're having issues connecting, try disabling and re-enabling the device's Bluetooth. How do I remember my heights in the app? From the Desk Height Adjustment menu, you can raise your desk by dragging your finger up or down on your screen. Once you find a comfortable height, simply tap Save Height, then tap Sit or Stand before the progress bar runs out to remember your preferences. My desk has the advanced keypad. Will it work with this app? Any of our keypads can be used with the Connect app and dongle, because the app communicates with the control box, and not with the keypad. However, if there is not a memory function, like with that of a standard keypad, then you won't be able to access your desk's saved heights from the keypad, only through the application. How can I confirm which version of control box is on my desk? You can quickly tell which version of control box you have on your desk by taking a peek at the silver label on it. If that sticker says V3.0 or higher, you know have a control box that is compatible with our dongle. I can't seem to find my desk from the Search for Desk page. What should I do? If you are having trouble finding your desk from this page, it might be because it's already been added. When searching for device, a dongle will not show up on the list if it has already been added to the device. If you're having issues connecting, we advise closing the app and reopening it. Some smartphones have issues with Bluetooth connectivity, so syncing is not an issue with the app or dongle—it may have more to do with the functionality of your Android or Apple device. If the app can’t find your dongle, close the app. Then manually disable and re-enable the Bluetooth on the device. Open the app again, and then try reconnecting with your desk. If you're still having trouble, reach out to our Support Team and we'd can assist you. How do I adjust my desk from my app? To adjust your desk, you must first tap the screen to activate the app. Then simply tap and slide to adjust the desk's height higher or lower. Once you find a comfortable height that you want to save, tap the Sit or Stand button at the bottom of your screen to remember the height. Can I name my desk anything I want? Make your desk yours by giving it a name. Names are limited to 28 characters of letters, numbers, or ".". Desk names cannot contain spaces or special characters. I changed my standing goal, but I can't find my goal on my app. Did I do something wrong? No, if you change your standing goal during the day, you must reconnect the desk for the app to update the percentage you have spent standing. When I go back to the main screen, I cannot go back to the Height Adjustment page. What should I do? If you go back to the Select Your Desk screen in the beginning of the app, you must reconnect to your desk with the app again. Are my desk heights saved in centimeters or inches? The desk height displayed will be in inches or centimeters, depending on what setting control box is set to. How do I toggle between inches and centimeters on my keypad? Press the down button until the desk reaches the lowest position. Now release the button. Press the down button until display flashes "RST" (it will look like ASr. Press the "2" button until display shos "10.3" (centimeters) or "10.4" (inches) and goes back to "RST". Note: While "RST" is still flashing, you can press the "2" button as many times as you'd like to toggle between the two settings. Lastly, press the DOWN button until the desktop lowers slightly, then rises slightly and the display changes back to the numeric height setting. Can I reset my desk dongle? 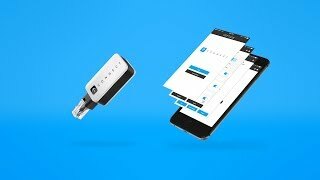 If there is an issue with your dongle communicating with the app and you wish to reset it, you will need to restart box the control box and the UPLIFT Connect app. From the Error menu in the app, if you see the "Return to Use" button below, your desk is working and does not need to be reset. But if you see the "Reset Desk" button, please tap (for version 3 control boxes) or hold down (for version 4 control boxes or newer) the button to reset your desk. If it does not work, hold down the Reset Desk button on your keypad for 5 seconds, then release. Then press and hold the Down button on your keypad until it displays "RST" or "reset." Your desk should now be successfully reset. Note: resetting your desk via the control box will erase all pre-made settings and return it to its lowest height. This will also reset your app's password. I forgot my password; can I reset it? Yes, if you happen to forget your desk's password, you can reset it by restarting your control box and removing your current password. To do this, simply unplug the control box's power, and press the up or down button on the keypad for five seconds to drain any residual stored power. Now, plug your control box back in to its power source. The Connect app's password function will reset to "off." Conversely, if the control box power is cut off for any reason (as in a power outage or if it becomes unplugged), the password function will turn "off." How do I move my desk from the Desk Height Adjustment page? To manually adjust the height, tap and slide to adjust, don’t just tap and scroll - your finger must stay in contact with the screen to adjust the desk. My app is on the Desk Height Adjustment screen, but it thinks I'm sitting when I'm actually standing. Is something wrong? More than likely, no. The Connect mobile app was designed to have a minimum standing height, which is 37.4". If your desk is set to a height lower than this, your app will think you are sitting. Passwords are four numbers long.